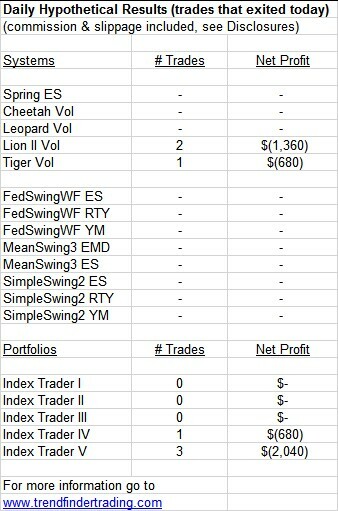 Lion II Vol and Tiger Vol had short trades today. Each was stopped out for a loss. 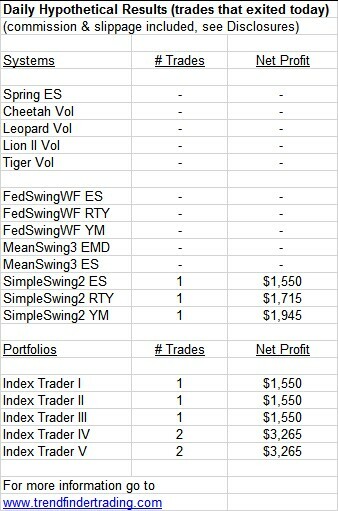 Tiger Vol had a long day trade today.